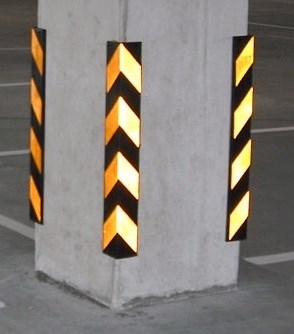 Help prevent costly damage to vehicles and buildings with our Rubber Corner Protector. It is the ideal solution for car parks, warehouses and other applications where dents and scrapes occur. The 790mm high by 100mm deep protector features a highly visible yellow hazard pattern.